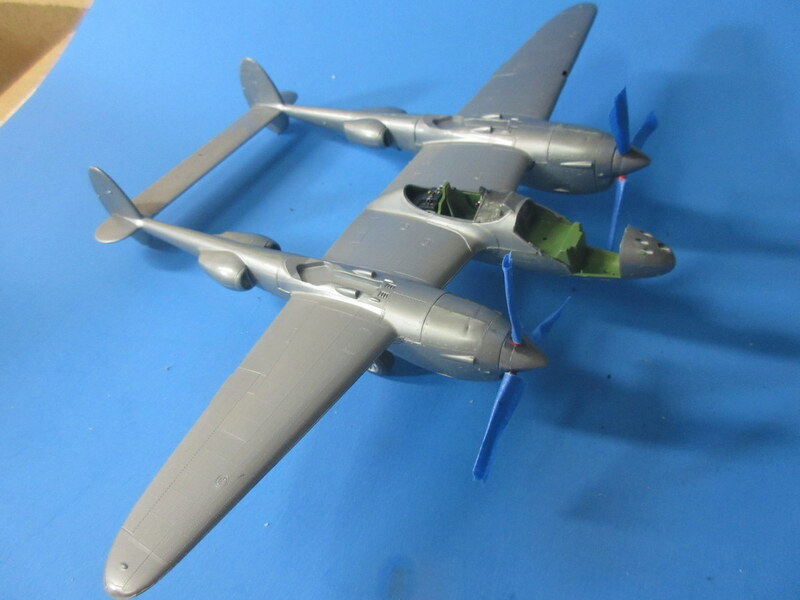 I am waiting for three photo-etch sets from Czechoslovakia (Eduard) to build my three small helicopters and why I am waiting I decided to build an old friend from long ago that has been sitting in my pile for quite some time, a Monogram 1/4″ scale P-38. 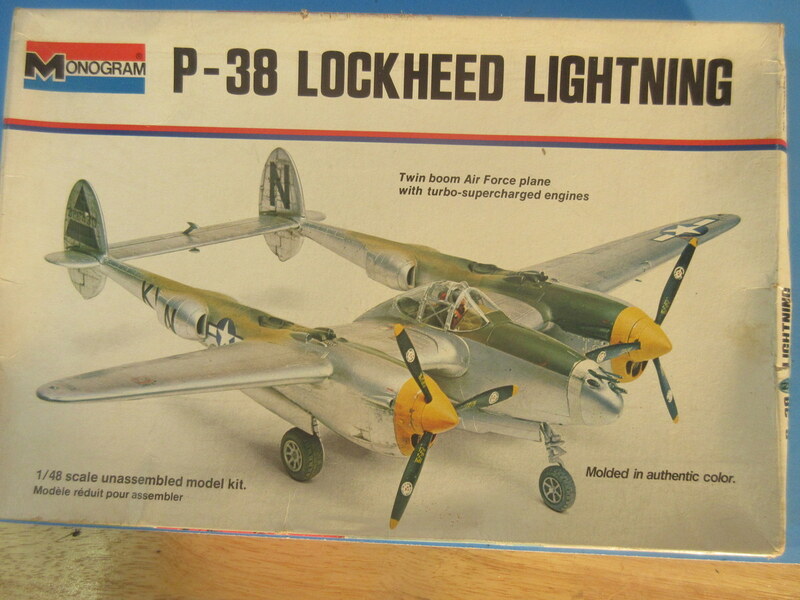 I built at least two of these growing up in various boxing and although this kit doesn’t hold a candle to today’s fit and detail it was an amazing marvel of styrene kit engineering in its day. 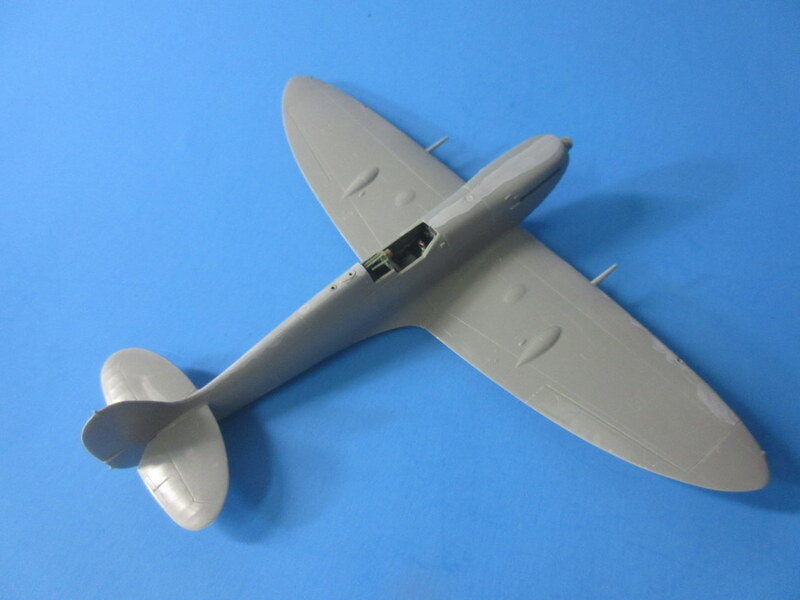 We can thank the Monogram marketing and engineering team of days gone by for propelling us into the modern modelling age. 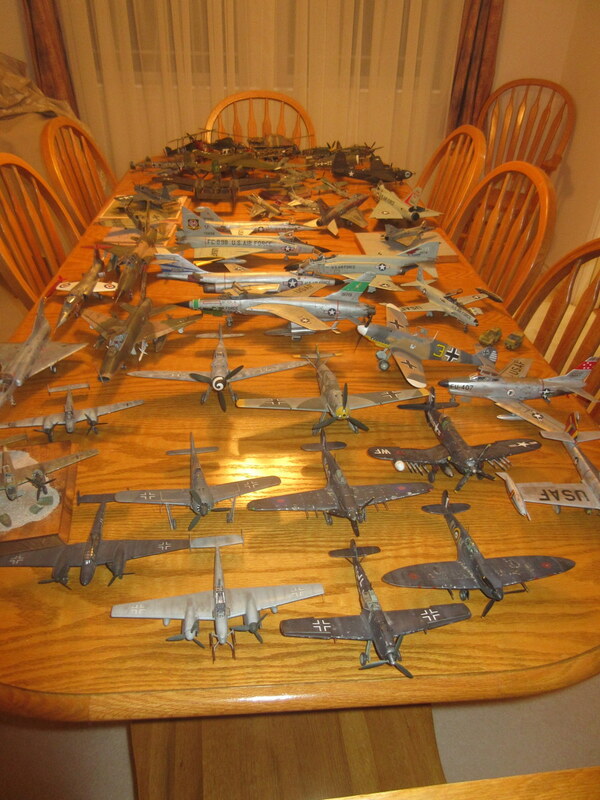 Their release of 1/48 scale replicas changed the way modelers built kits from a toy like to trying to create a detailed facsimile of the real airplane. 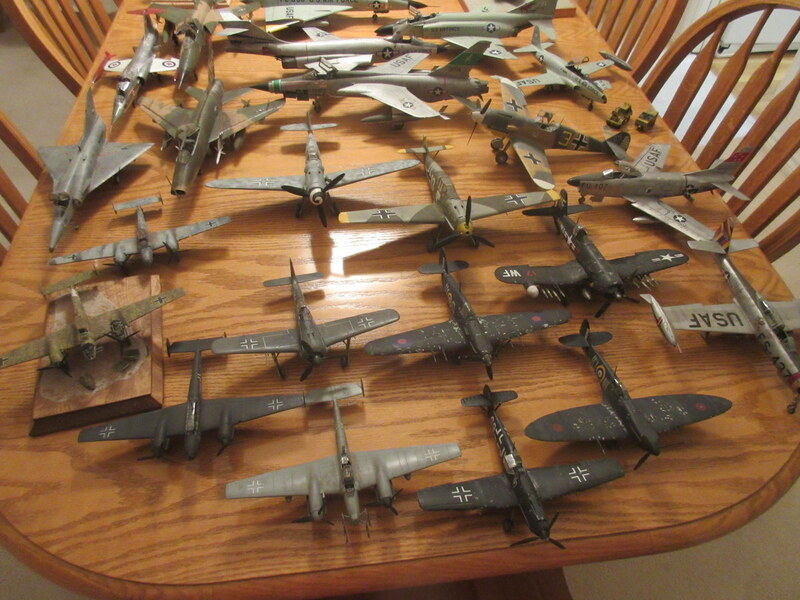 It was a good day to be in the hobby with lawn mowing money and a tube of Testors glue in hand! 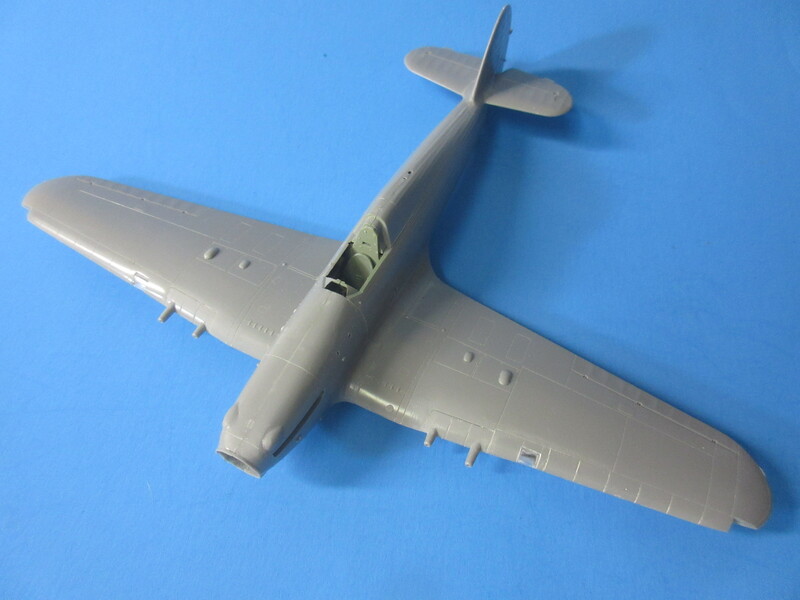 For those of you who don’t remember the kit was engineered to be built in any one of 5 variants; some requiring extra parts and some requiring cutting pieces off and gluing on others. 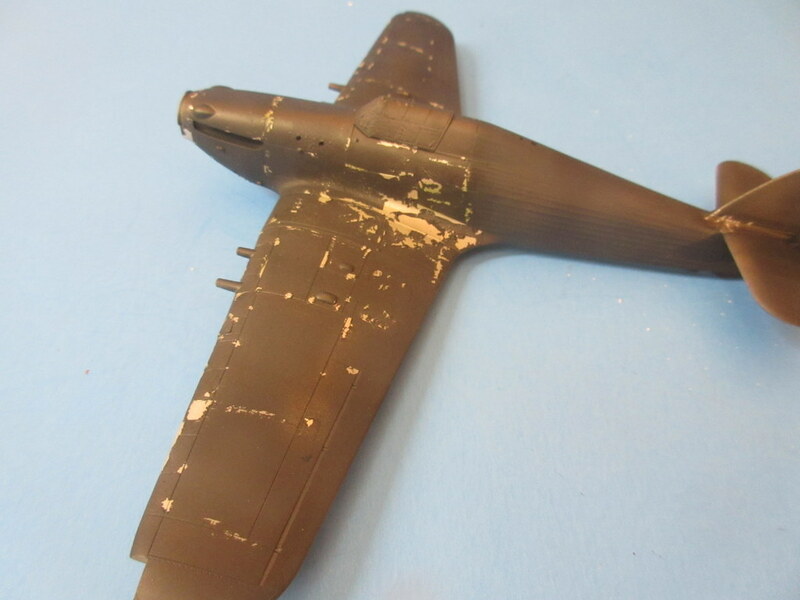 I remember I modified one to build the P-38M, which started my interest in all black nightfighters (see previous posts). Included also are a droopsnoot and photo recon version. 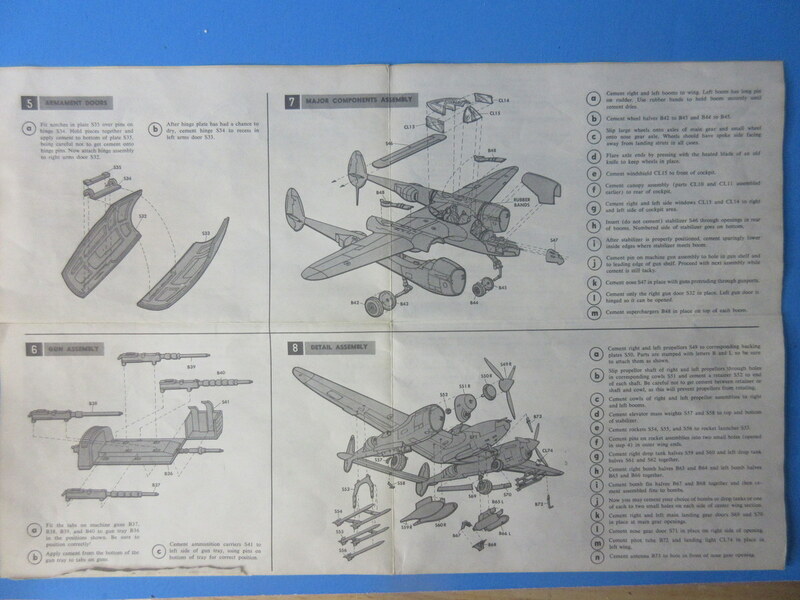 The instructions were as detailed as the kits. No multiple languages and clear step by step directions. 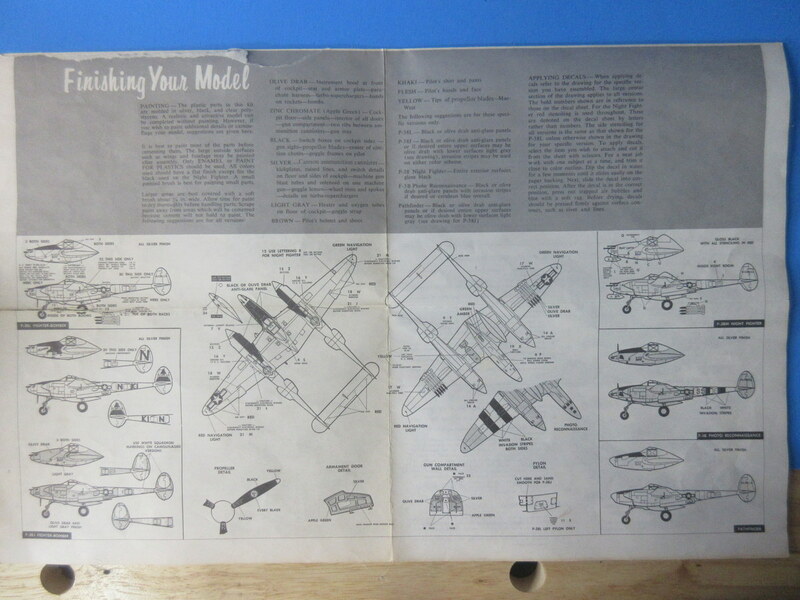 I learned all of the parts of aircraft and ships reading Revell and Monogram instructions. 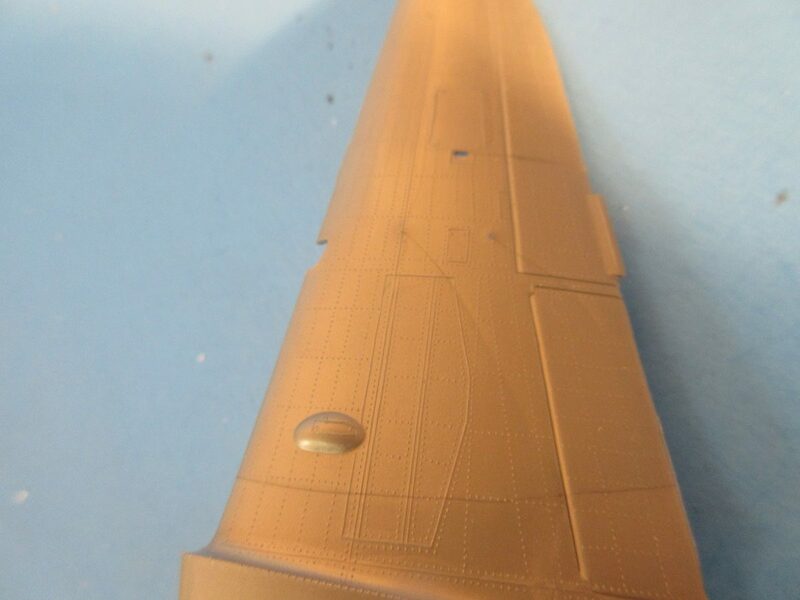 The kit is a wonder of teeny raised rivets. Not a chance I’d be able to sand and fill seams on this kit without destroying mass quantities of them. So in the spirit of nostalgia I am building this by slapping it together just like I used to. 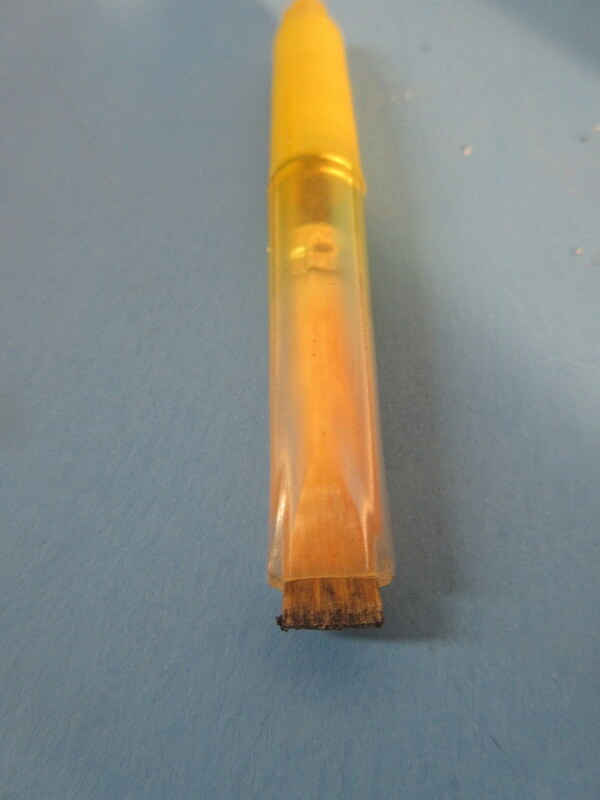 The only difference in liquid rather than tube glue in most of the applications. The other joy to discover moving into the build was the cockpit floor was missing. 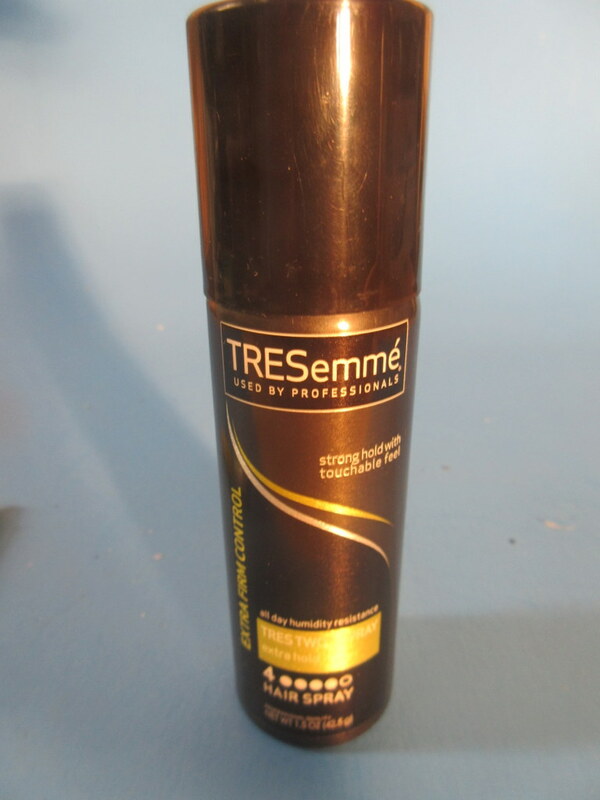 I’m almost positive I bought this off eBay many moons ago and I’m not sure where it could have gone or if it was ever there. 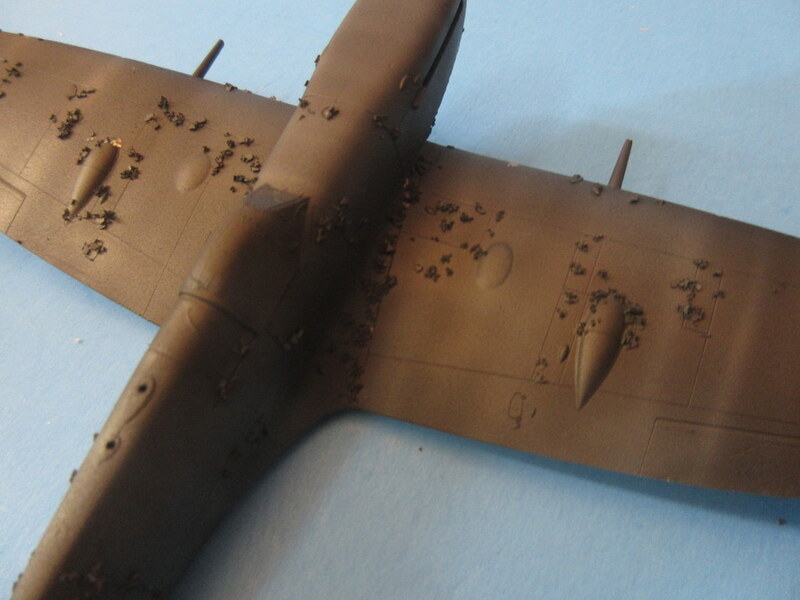 But in years gone by I needed to do a lot of scratch building to provide the detail (no resin or etch parts to buy) so I whipped out my 0.10 and 0.20 styrene sheets and made my own floor. 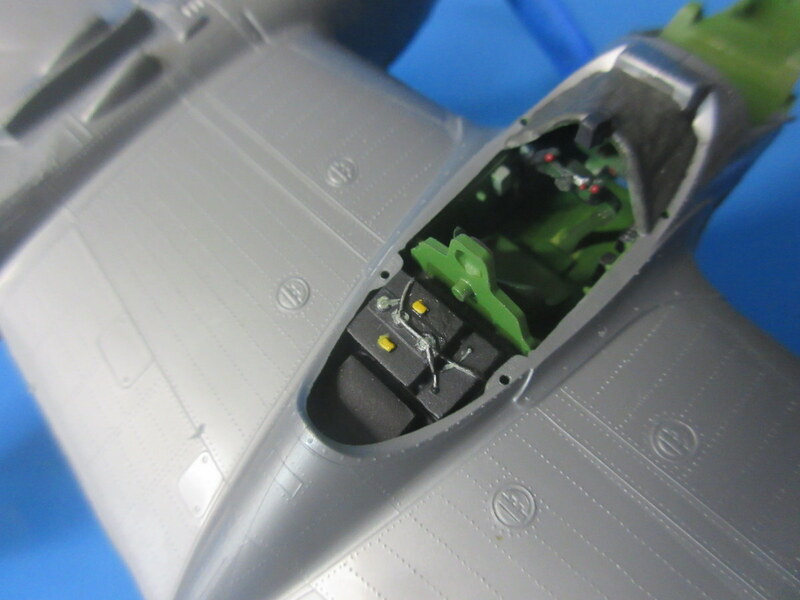 Not too detailed but enough to hold the simple seat and control wheel in place. 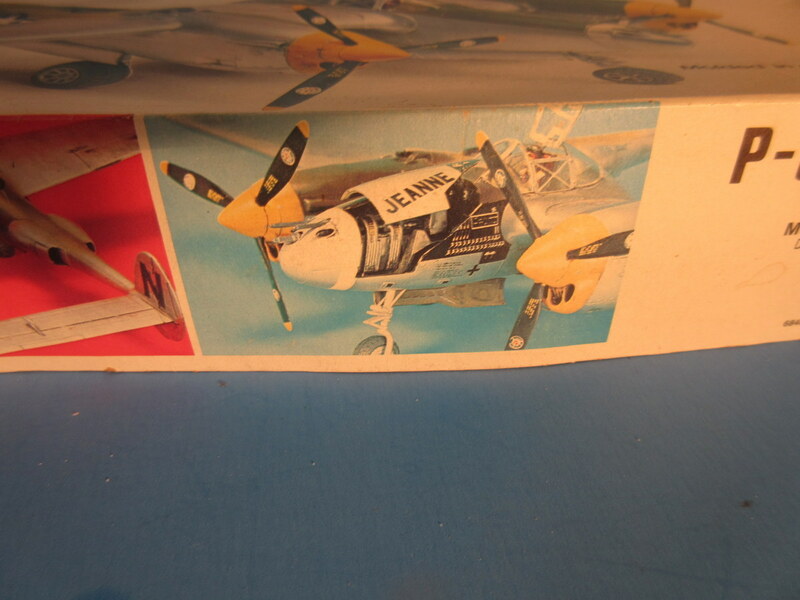 And you know, I probably used some of the same styrene sheets I have been carrying with me for 45+ years. 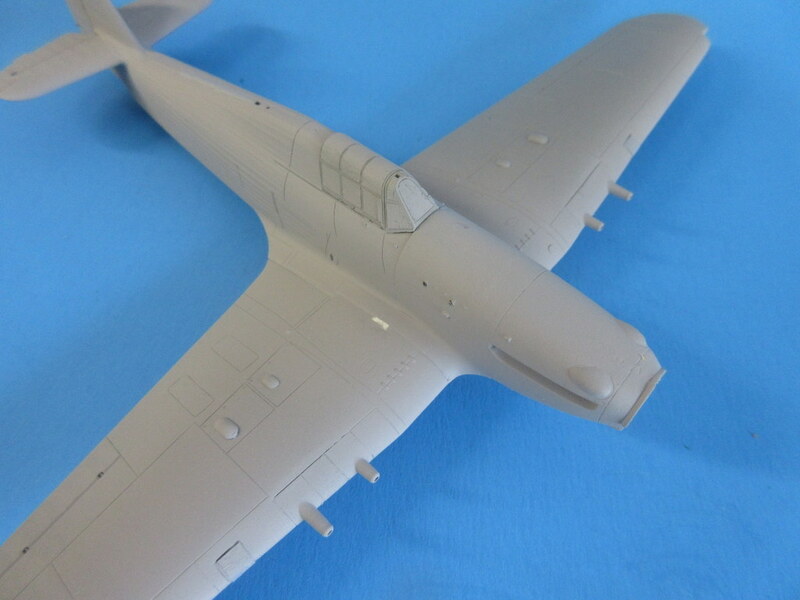 The kit is approaching painting, probably this weekend. It has been a simple and fun build. 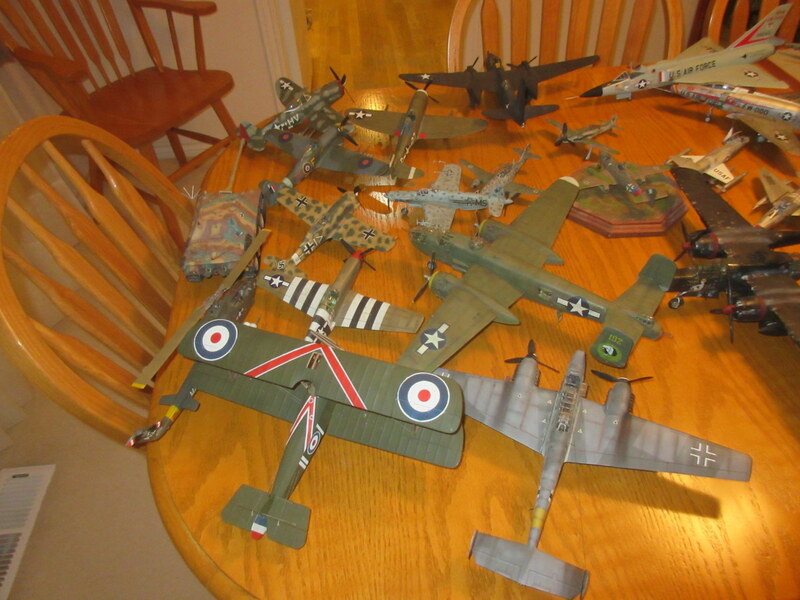 In fact, I have a pile of old 1/4″ scale Monogram kits in the pile, and a few old Revell and Hawk kits there too that are gaining my attention. 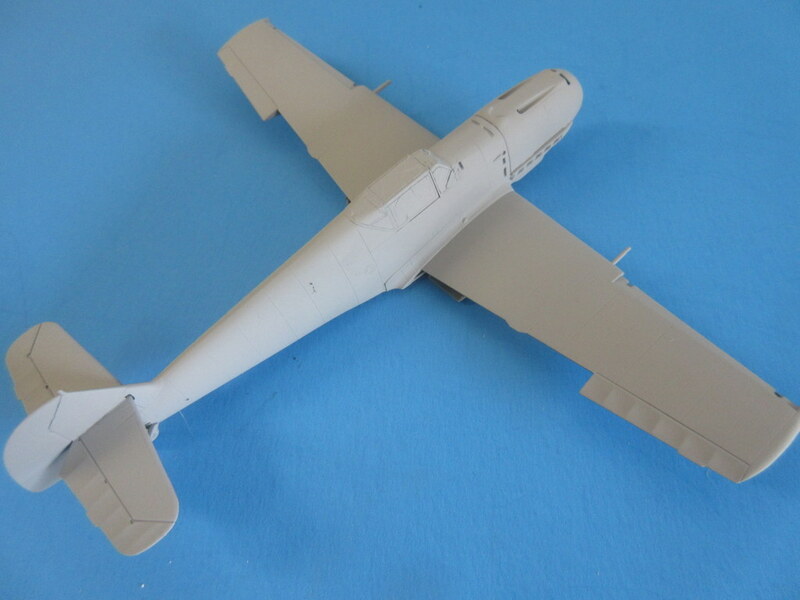 Kind of nice having a build that you can just put together without the stress of Advanced Modelling Syndrome. It was that unfettered building style that hooked most of us to the hobby. 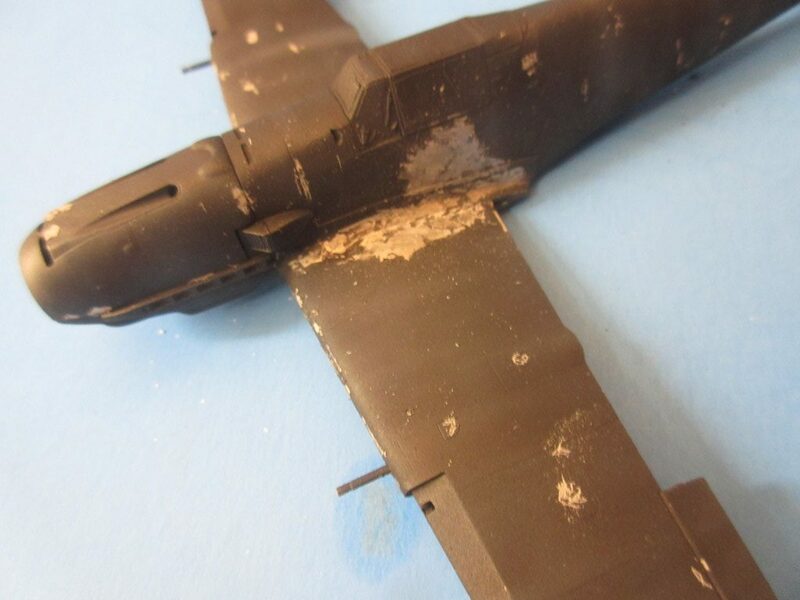 I built three single seat black aircraft and used them to test paint chipping techniques. 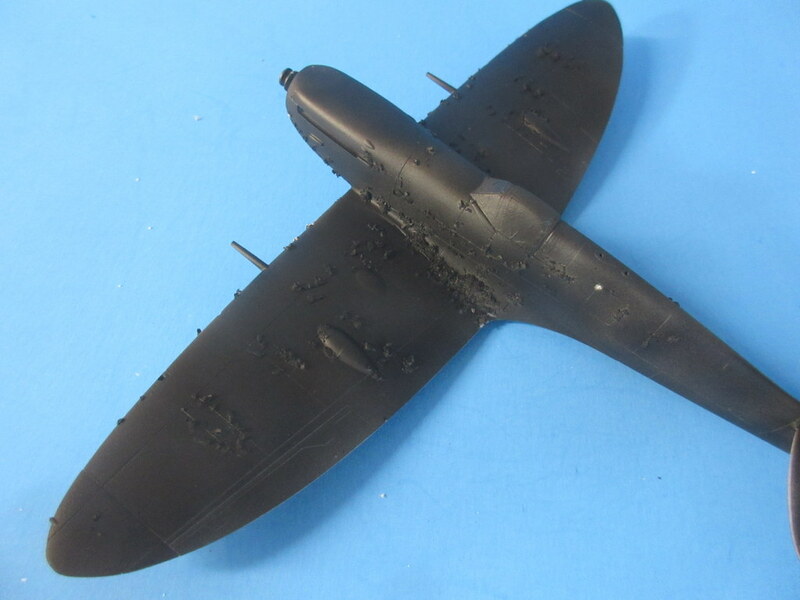 This one is the Hasegawa Spitfire Vb Night Fighter and my chipping method of choice was to use salt masking over aluminum Alclad before black paint. 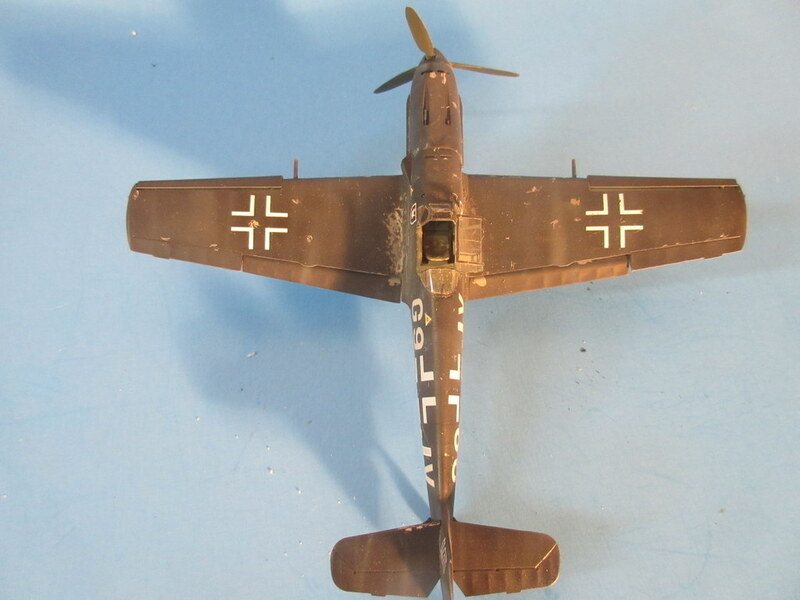 Much like the Bf-109E in the previous post this kit was built straight from the box. 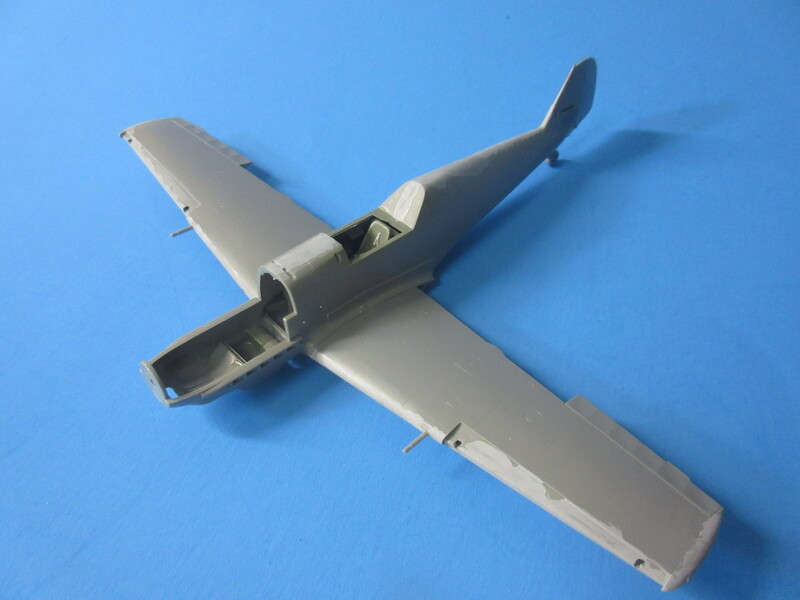 The kit went together well with very little fitting, sanding, and filling required. 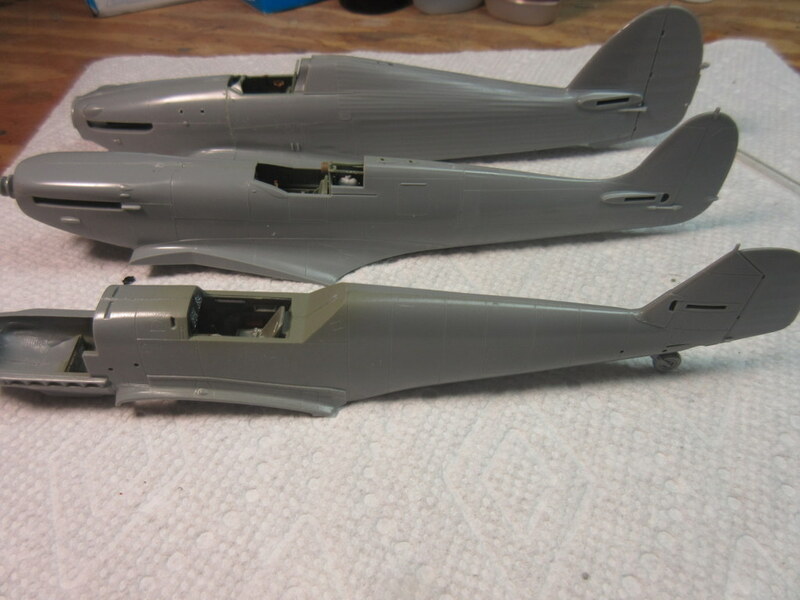 This kit like the other two was given a coat of primer straight from the can. You can see here how rough that turned out to be. My previous post discusses the primer choices. 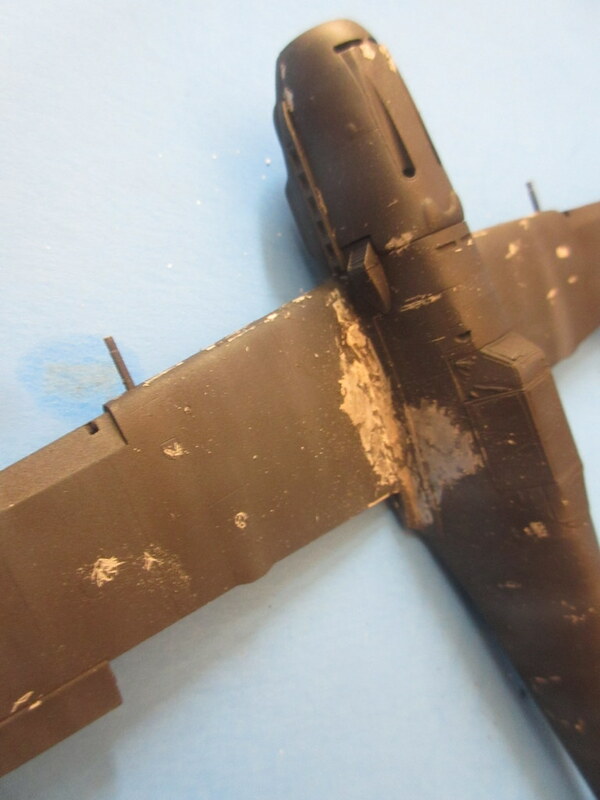 You can also see where I didn’t quite sand out the wing root – needed to be fixed. 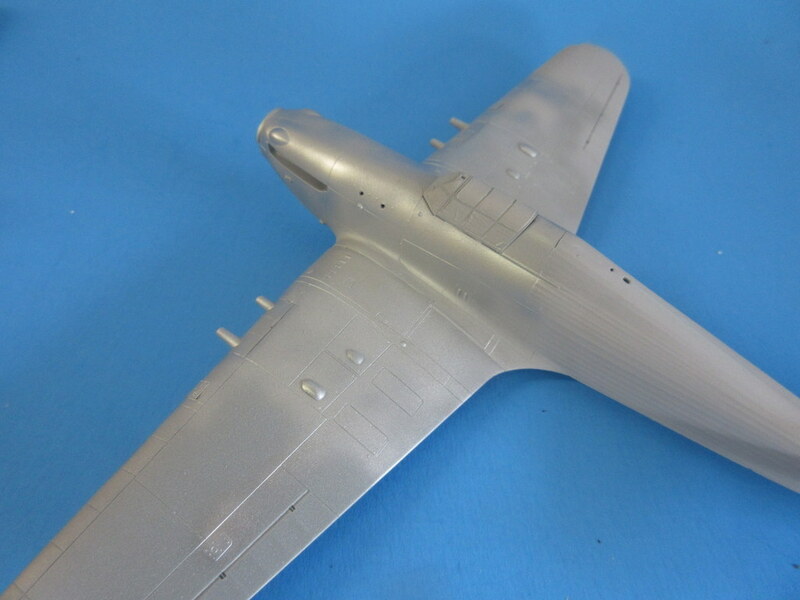 After priming, areas of Alclad aluminum were sprayed on the kit. I like using Alcad because it’s thin and it’s tough. 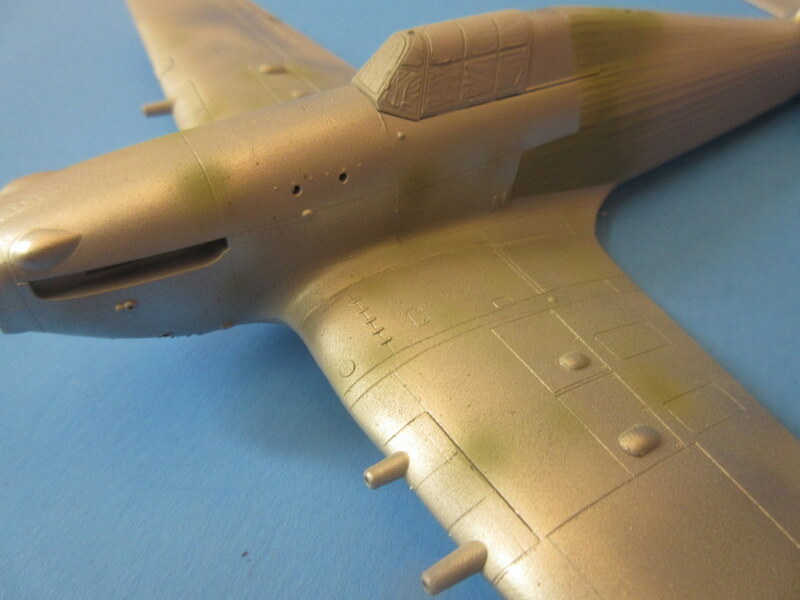 The kit is then coated a small area at a time (preferably where the Alclad is!) with water and Morton Kosher salt is sprinkled on the water. Wherever the water is the salt sticks. 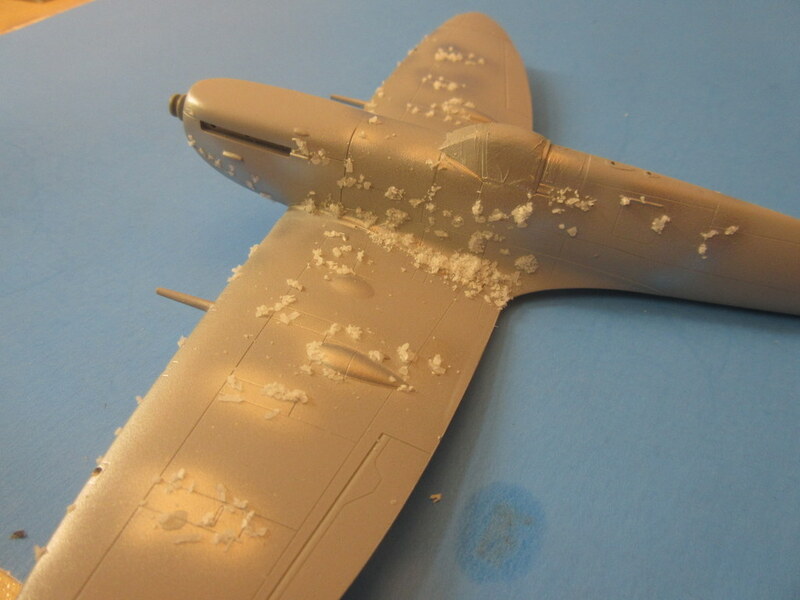 While still relatively wet the salt can be pushed around with the same brush I used to apply the water. 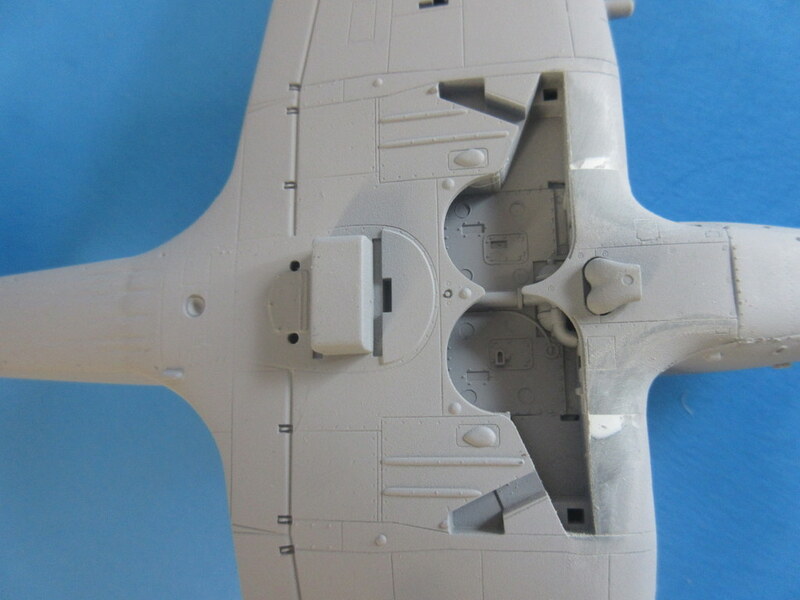 I applied more heavily in the areas of the wing root as you can see in the shot. 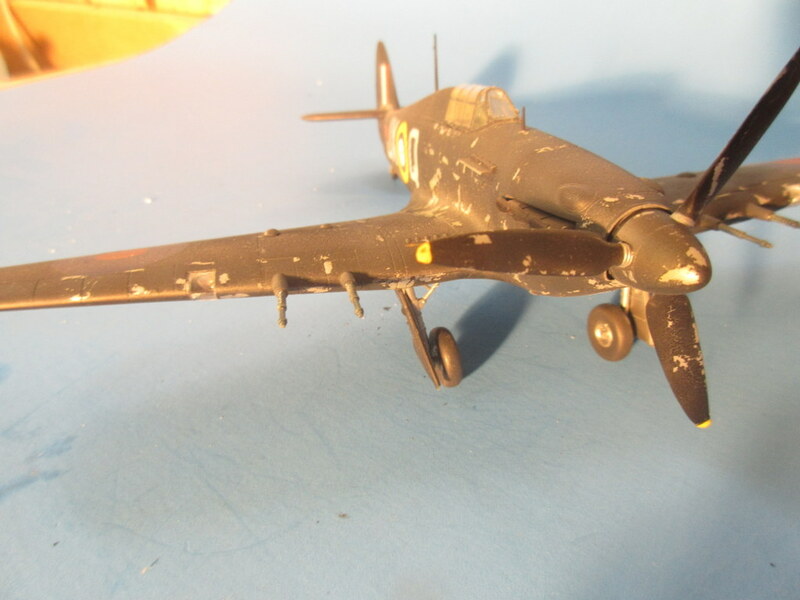 The aircraft is then given a coat of black paint. I used the same Scalecoat used in the previous post as well as following on with streaking using ever lightened colors of black to produce a weathered look. 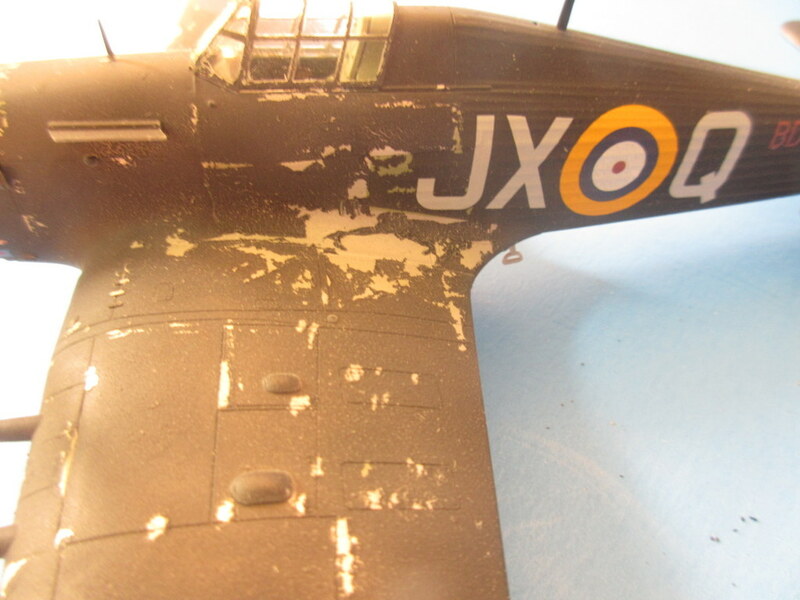 The salt is then brushed away with a stiff brush and ta-da paint chipping. 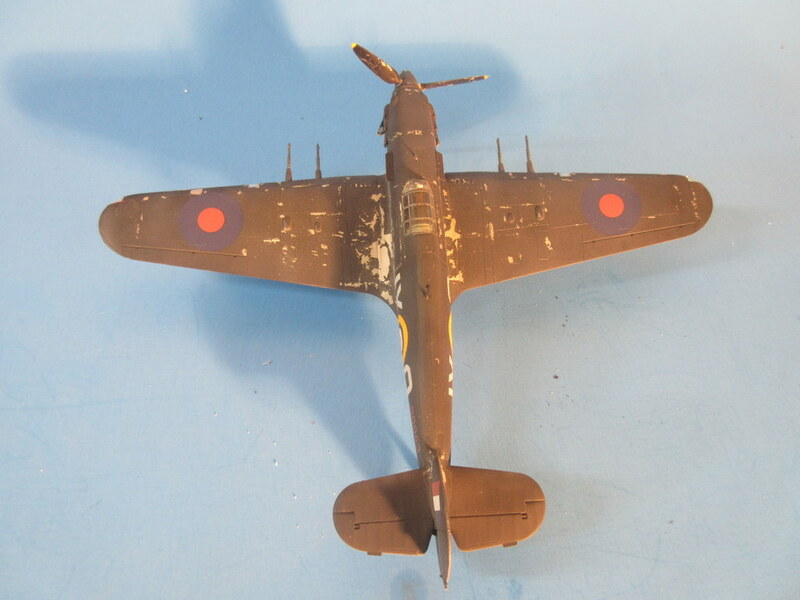 After a coat of Future floor polish, the decals were then applied. 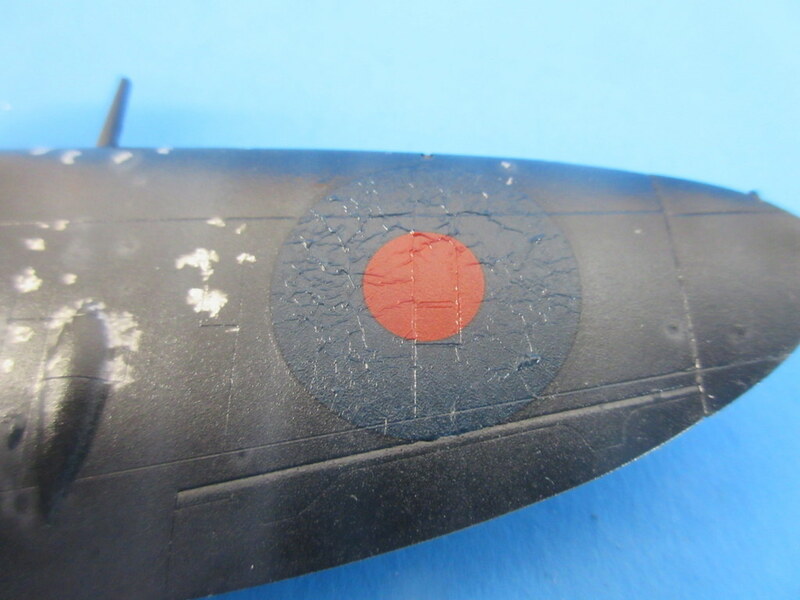 I normally use Solvaset decal solvent on my decals and I really sweated this one out as you can see it wrinkled the marking up and it wasn’t un-wrinkling very fast. It took a lot of Solvaset to make the decal finally sit down. I think the Solvaset slightly remelts the Future and the Future sets back up before the decal has worked through the setting process. 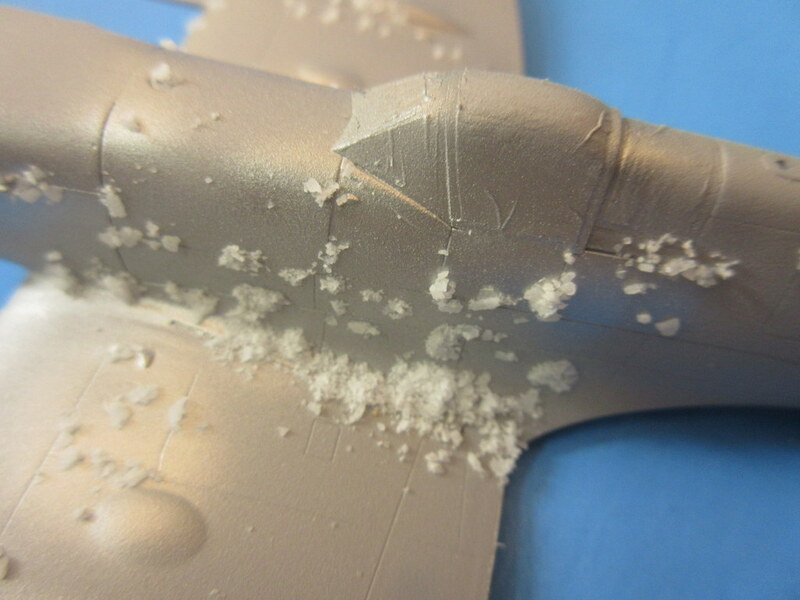 I think I could have done a better job at arranging the salt crystals to make it look more organized. 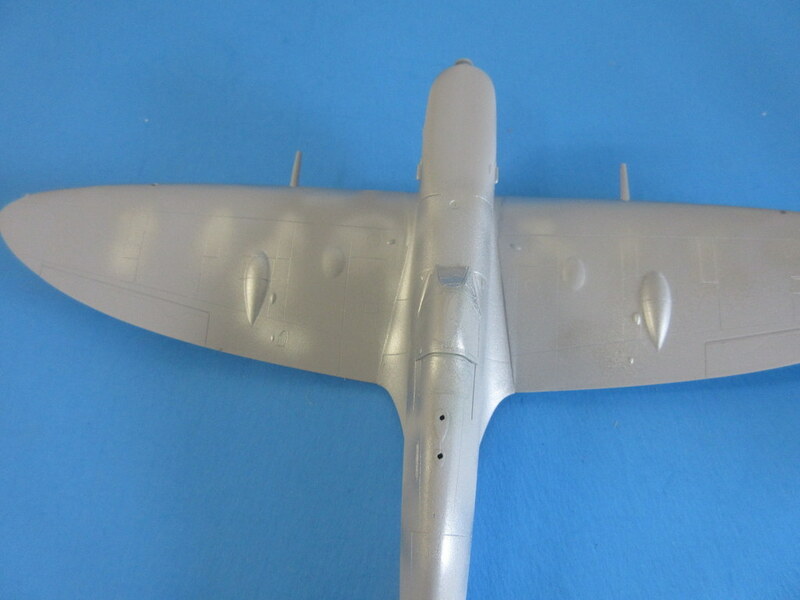 As put on the chipping was rather random except for the wing root area. 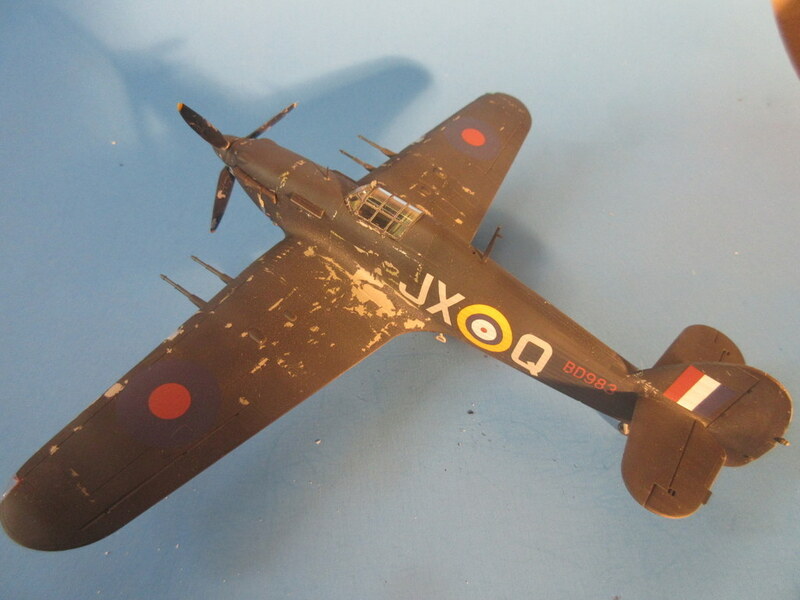 But after a blast of Testors dullcoat, the kit actually came out looking quite nice. 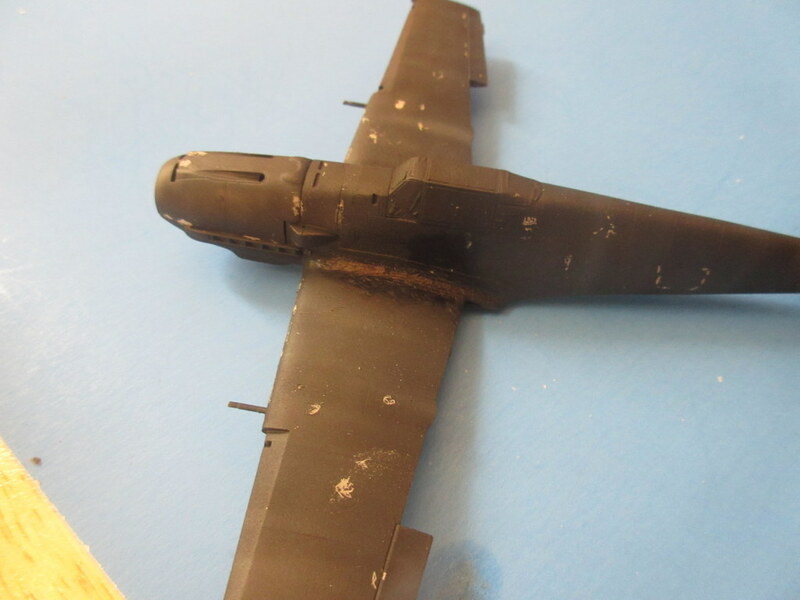 I built three single seat black aircraft and used them to test paint chipping techniques. 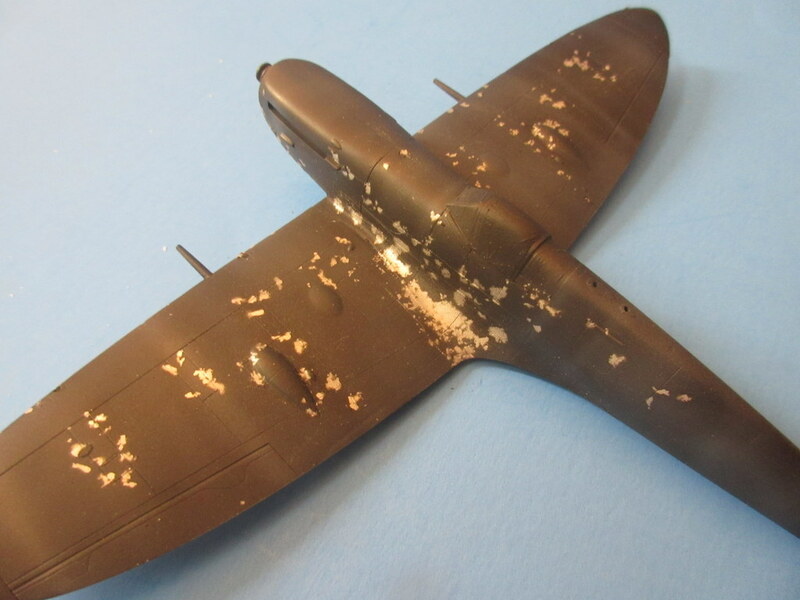 This one is the Hasegawa Bf-109E Night Fighter and my chipping method of choice was to use micro masking solution over aluminum Alclad before black paint. The kit was built straight from the box. 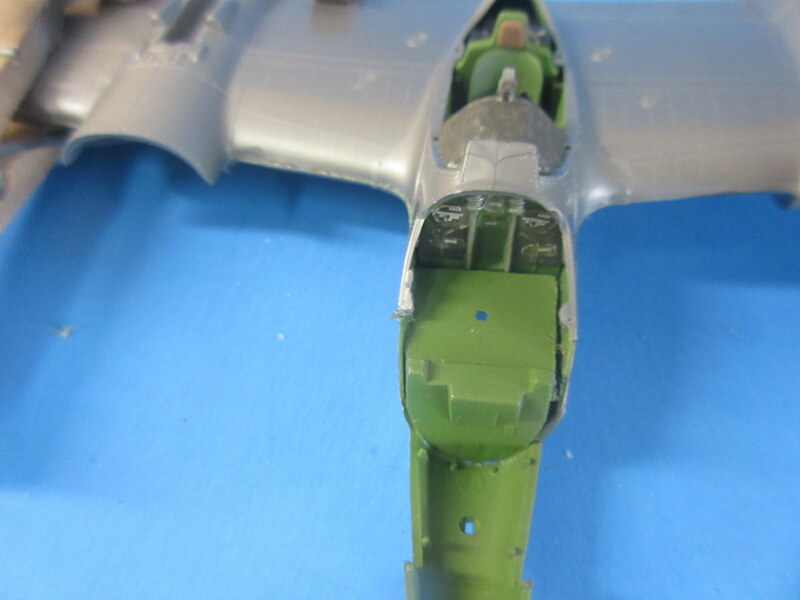 I’ve built a 1/48 Hasegawa Bf-109E before (previous Hasegawa Bf-109E post) and remembered to be careful at the wing-root fit. 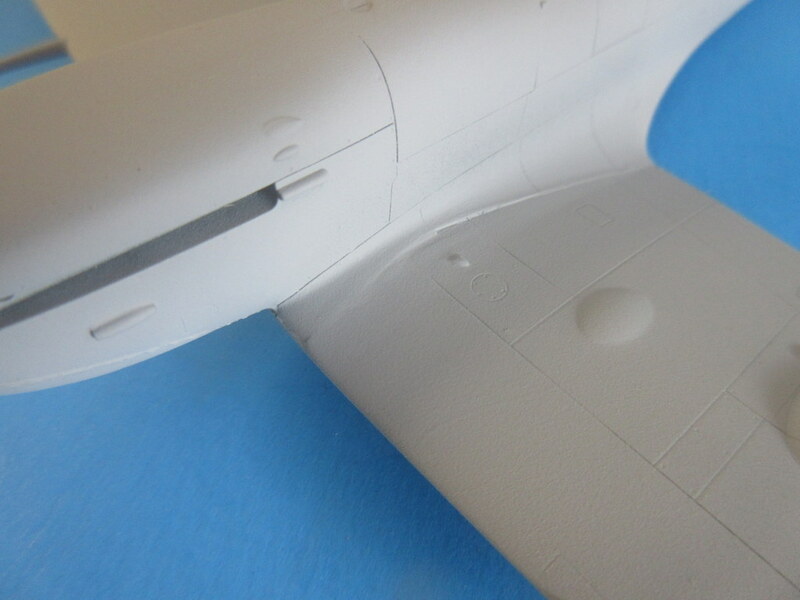 There was still a bit of sanding and filling needed to make things perfect. 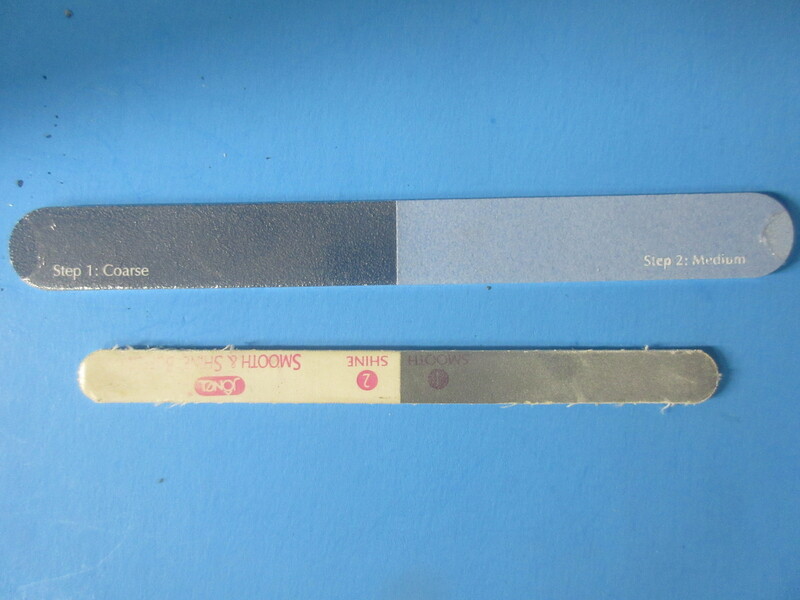 I use mostly these sanding sticks I buy really cheap at the local mega-store. The nail file works great for working the putty as it has many different grits and I often will follow up with a nail polisher that has three really fine grits and can make the plastic and putty shine! 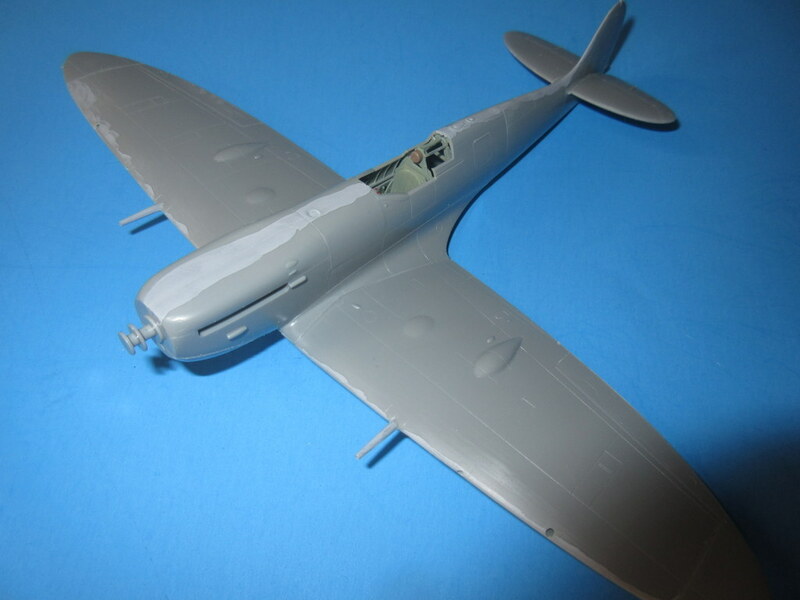 I then primed the kit from a rattle can primer. 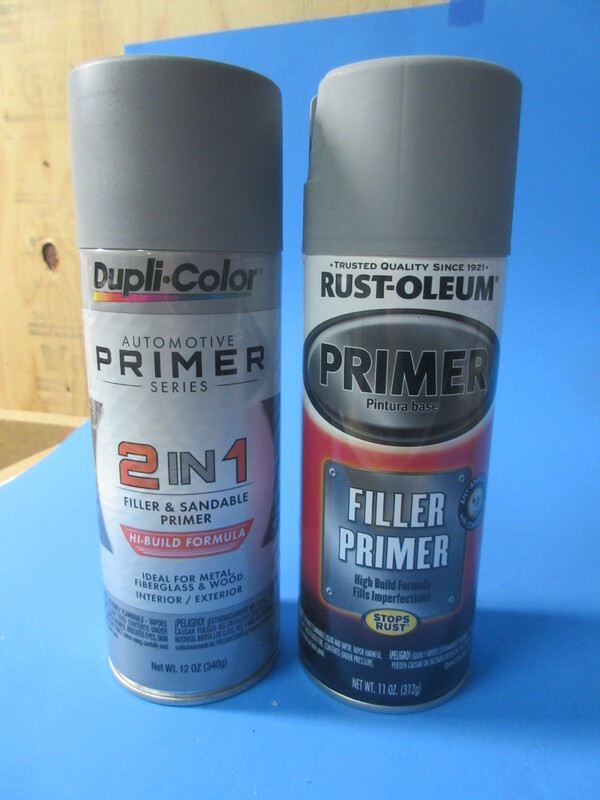 I have used the Dupli-Color “Fillable and Sandable” primer out of the can with good success. 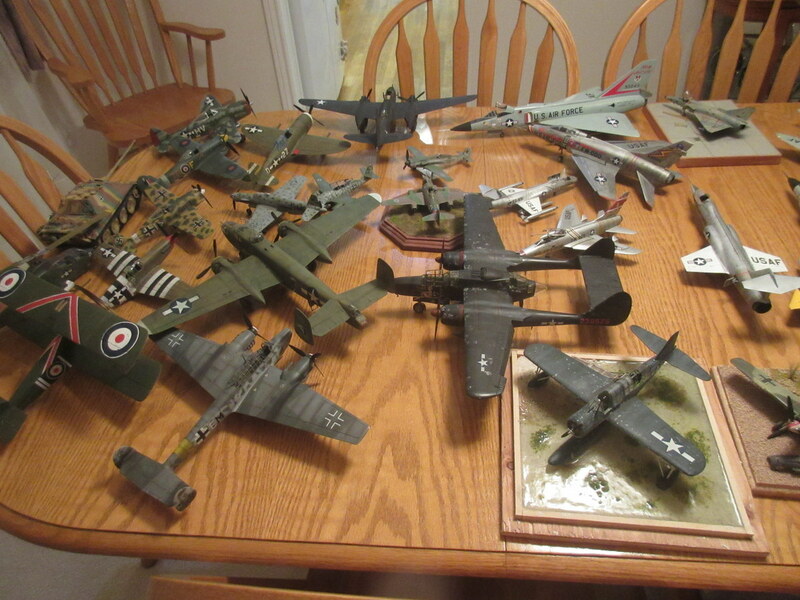 At $7 a can it’s a lot cheaper than the primers for scale models. On this pass, I tried the Rust-oleum and it made for a rough finish on the kit as seen in the earlier photo. 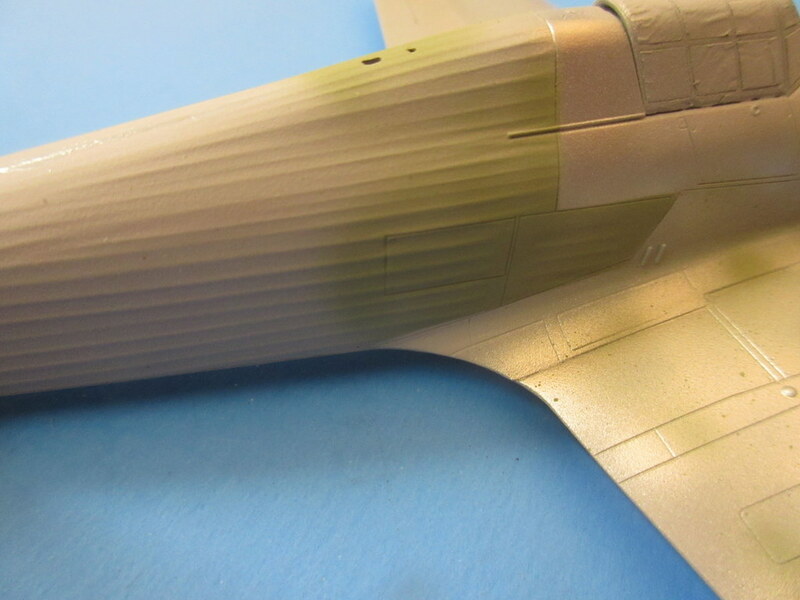 I might try to decant and thin it on another kit but I think I’ll stick to the Dupli-color. 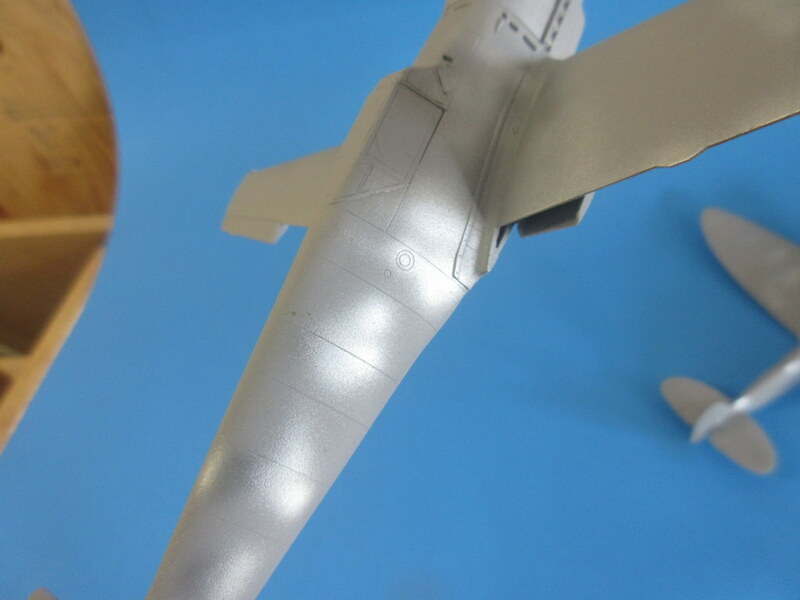 After priming the kit was sprayed with Alclad Aluminum in spots I wanted to show chipping and after drying Micro Mask was applied in chipping patterns over the silver. 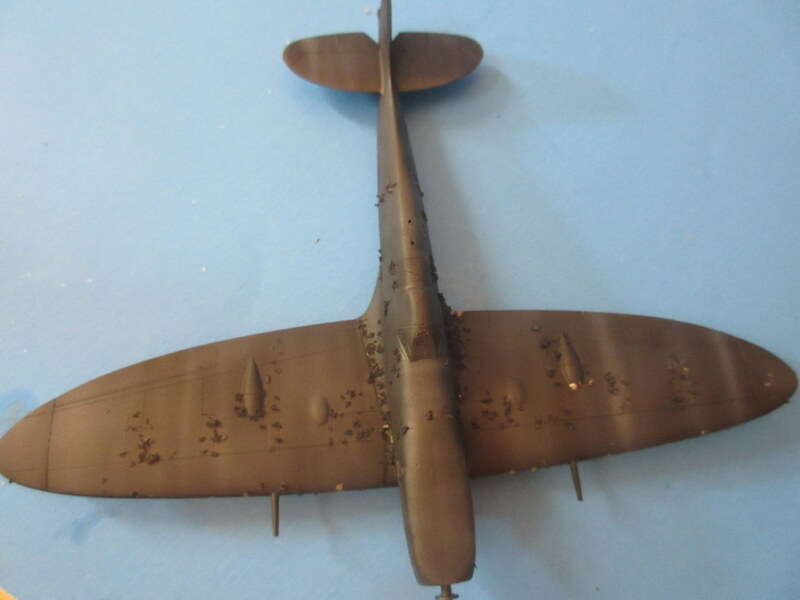 The aircraft was then sprayed with black enamel paint from Scalecoats and weathered with increasingly lightened and thinned paint (added gray to black) to produce a streaking effect that can be seen well in the photo. We are ready to chip! 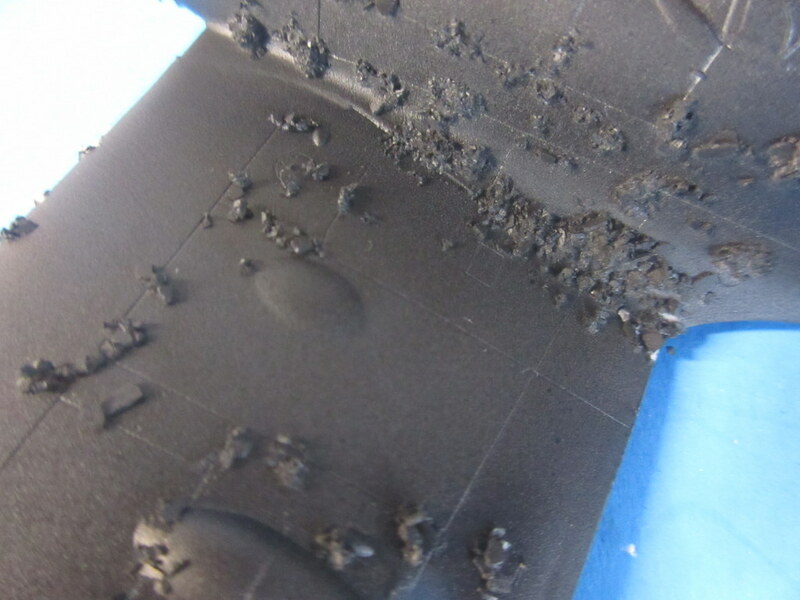 What turned out very wrong in this test was the Micro Mask was put on so thin it actually leveled under the paint and that made it very difficult to see where I needed to peel it away. I started using a wooden stick to try to scrape the mask away and it either wouldn’t budge or I couldn’t find it. 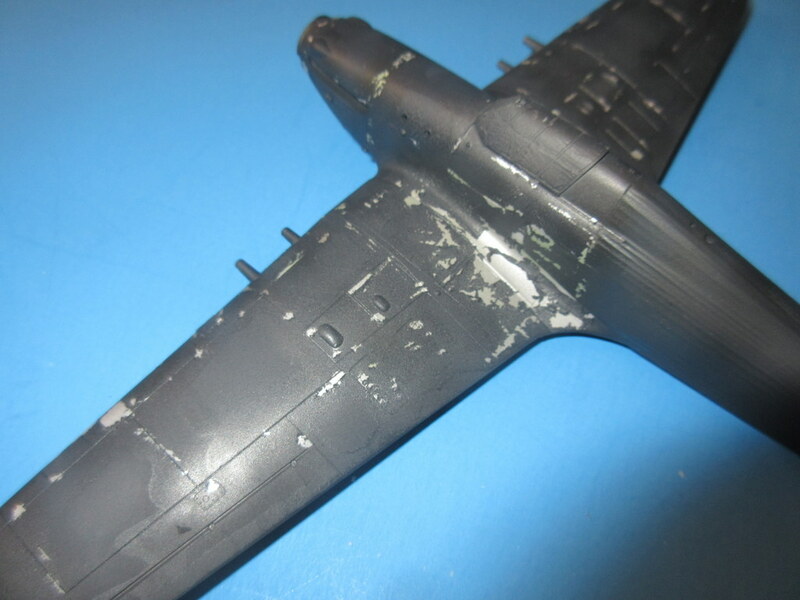 What occurred then was I wound up literally scraping the paint off and left deep gouges in the paint where there should have been chipping. 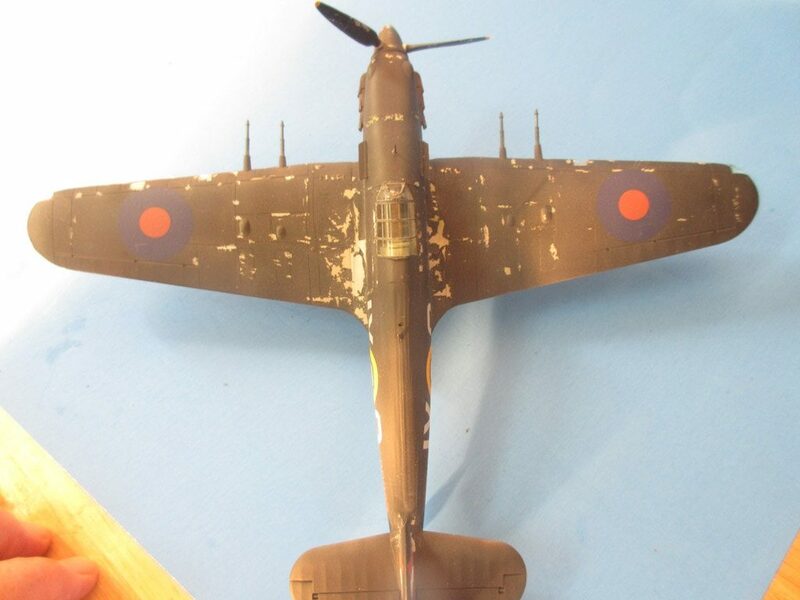 Had this not been a test build I would have attempted to take the paint off and repainted the plane. 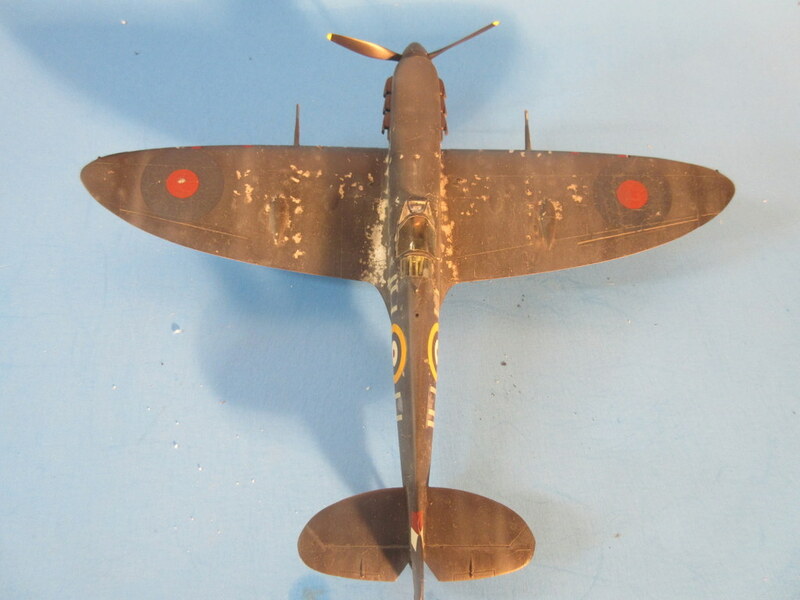 Instead, I recovered by over spraying the damaged paint and roughly scrapping it off while still wet. Not the best looking up close but not too shabby on the model shelf. The model was finished off with a nice set of OWL decals (I really like their thinness and way they perform) and overshot with Testors Dullcoat. 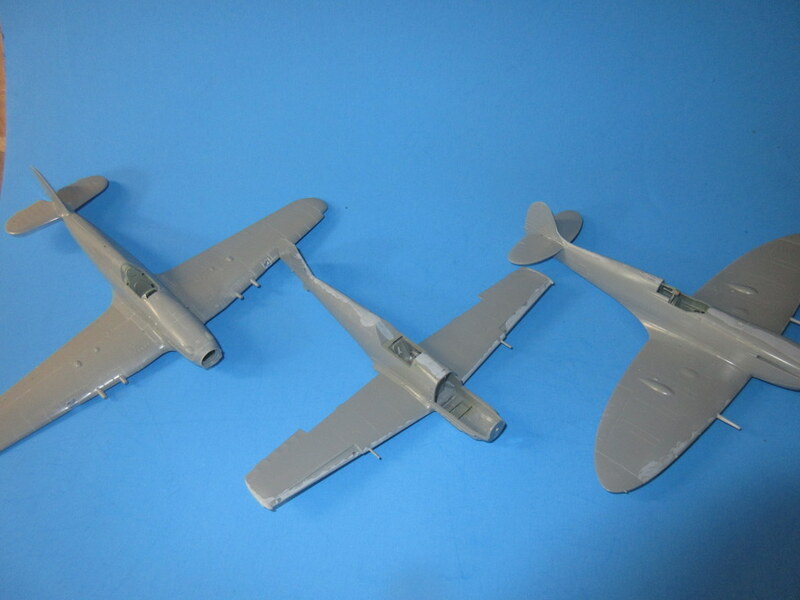 Test fire the primer before you commit to three models! 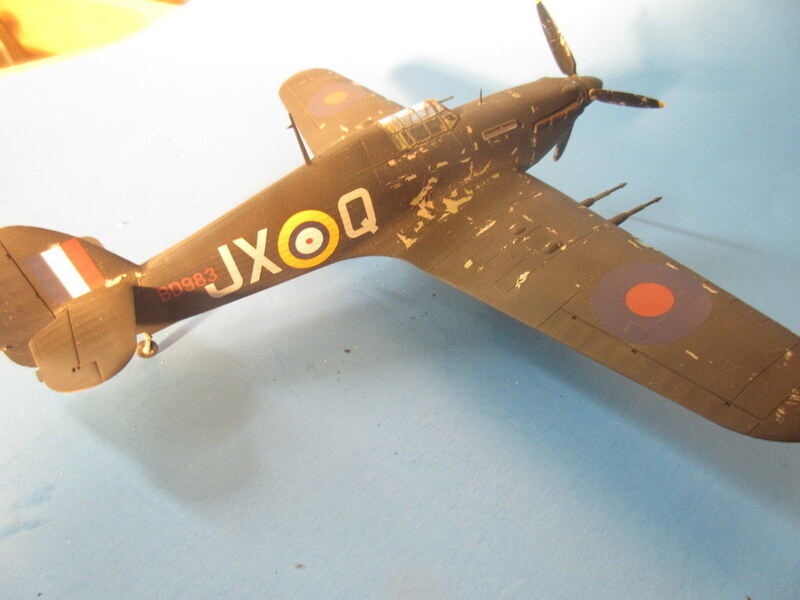 Each was built out of the box with the exception of OWL decals for the Hurricane and 109. 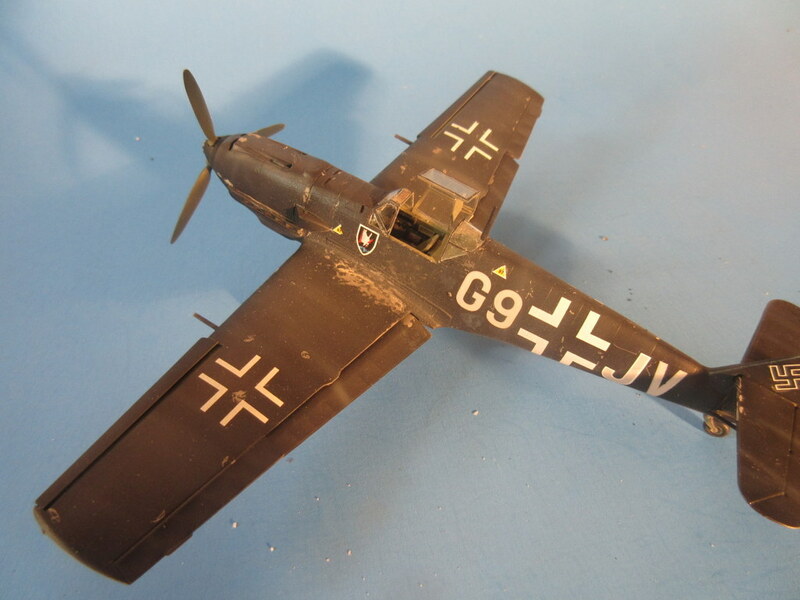 The Bf-109 used a method of micro-mask to simulate chipping wear. 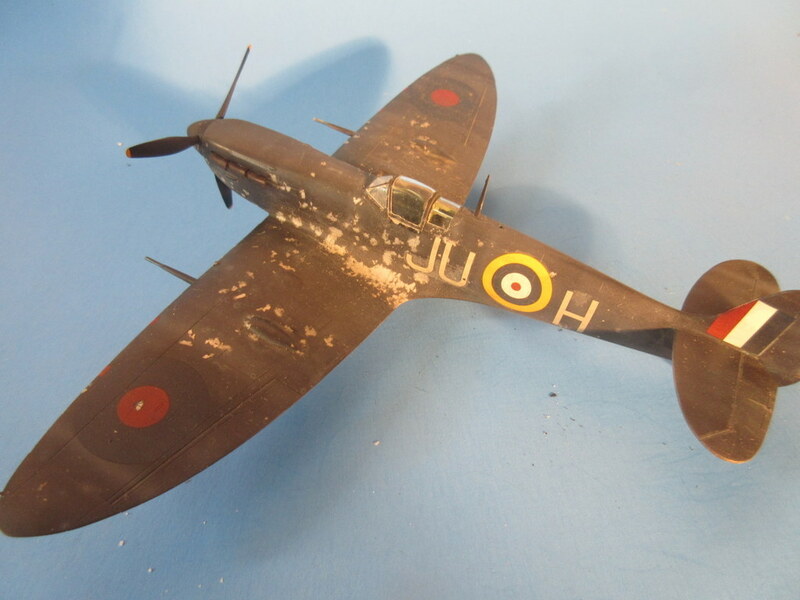 The Spitfire used a method of salt masking to simulate the chipping. 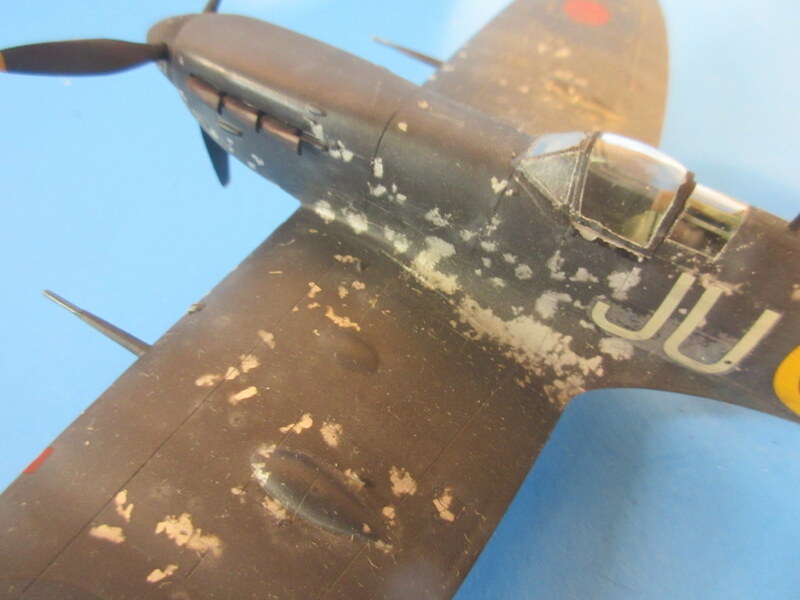 The Hurricane used a method I had not tried before, hairspray, to achieve the chipping. I will cover the steps used in chipping separate blogs over the next few days. 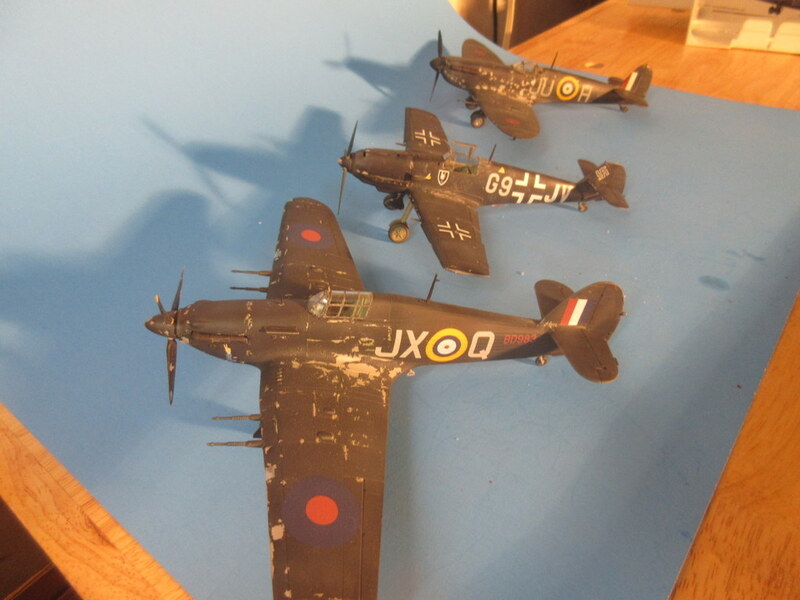 All kits went together well, each had its areas of fit issues that required filling and sanding. 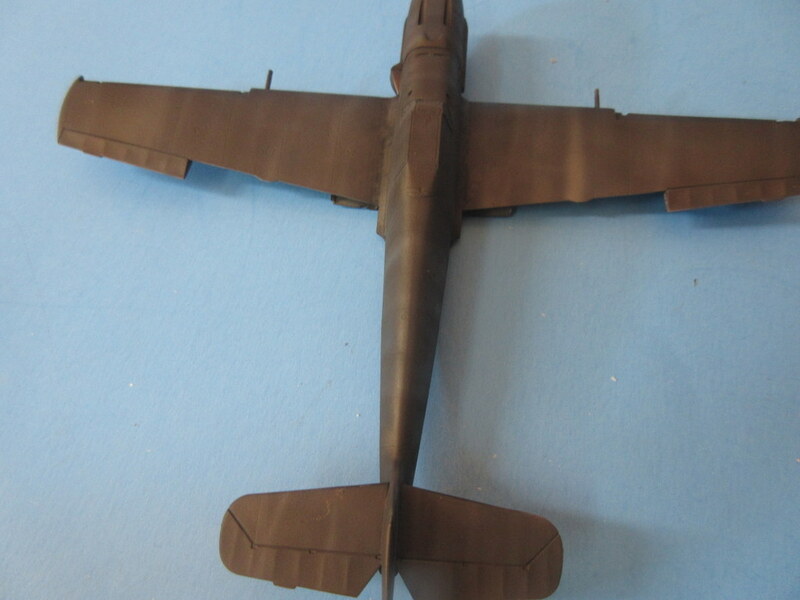 All kits were assembled at the same time, sanded and filled, and primed. 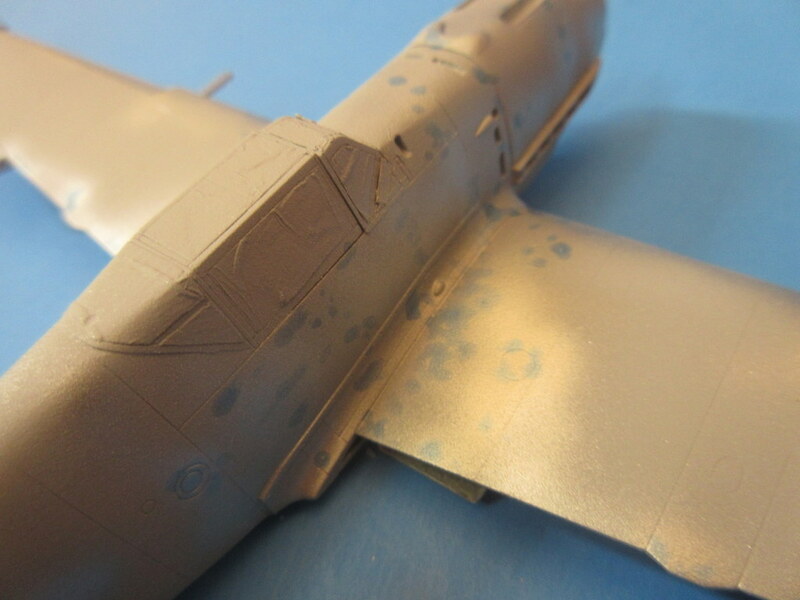 As discussed later, I tried a new primer out of the can on these builds and I think it delivered a rough undercoat. 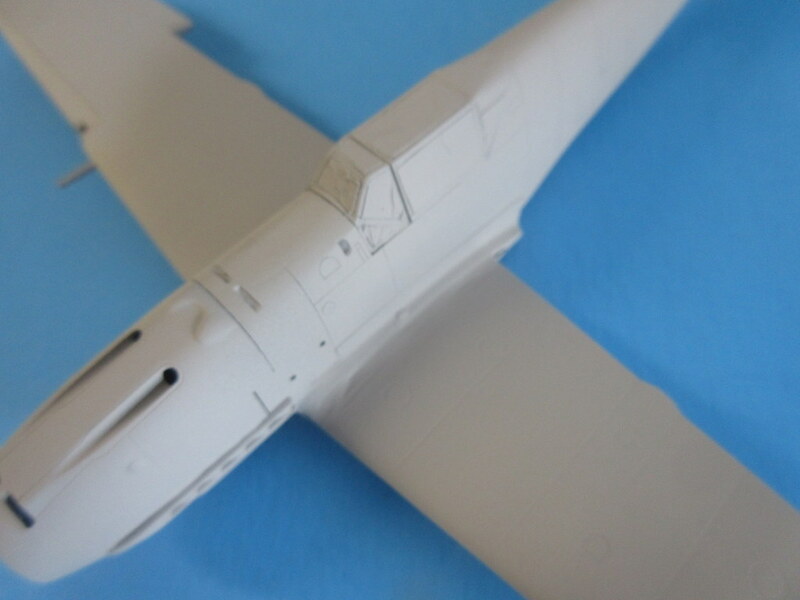 I’ll cover the Bf-109 with masking solution next. Stay tuned.